If your smile doesn’t please you and leaves you lacking in confidence, you may already be considering cosmetic dentistry, and porcelain veneers could be the answer to turning your stained teeth into a pearly white and brighter smile. But, how do you know if porcelain veneers are the right choice for you? 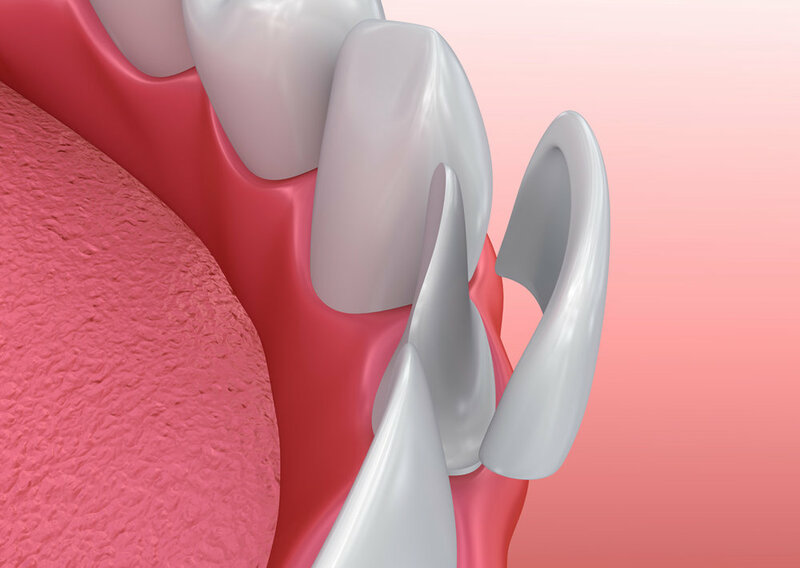 Veneers are specially-shaped pieces of porcelain or resin that are molded directly to your teeth, and attached with powerful dental cement. By covering misshapen or damaged teeth, porcelain veneers offer a fast, effective method to achieve a brighter, more beautiful smile. Best of all, they can usually be applied in two visits to Magnolia Dental. During the first visit, Dr. Zebro will prepare your teeth for your veneers to achieve your optimal smile design. This is done with minimal harm to your teeth. Once your veneers have been prepared, you’ll come back to Magnolia Dental in Greenville where your new veneers will be checked to ensure that they’re a perfect match. Your veneers are then permanently bonded to your existing teeth, leaving you with a beautiful new smile! High-quality veneers such as DaVinci porcelain veneers offer a wide variety of benefits to cosmetic dentistry patients. A beautiful, natural smile – Porcelain veneers are indistinguishable from your real teeth, so you’ll have an absolutely gorgeous smile that feels authentic and natural! More self-confidence – You’ll never have to worry about stains, gaps or misshapen teeth – just a beautiful smile to share with the world. Your natural teeth remain intact – Porcelain veneers require only a minimal amount of shaping, unlike dental bonding and other tooth restoration procedures. This ensures that your natural teeth remain strong and intact. Veneers resist staining – Unlike enamel, porcelain is not susceptible to staining from beverages like coffee, wine and tea. Your new veneers won’t lose their color, and your smile will never lose it’s charm. If you’re looking for a convenient, simple solution for a better smile, porcelain veneers from Magnolia Dental may be just what you need! While porcelain veneers are a fantastic way to restore your smile, it’s important to have them placed by a professional who has a passion and is experienced in cosmetic dentistry. In a friendly, spa-like environment, she can ease your worries by providing expert advice and a comprehensive treatment plan to give you the smile you’ve always wanted. The entire staff at Magnolia Dental is dedicated to your satisfaction, and we provide DaVinci porcelain veneers specifically because they are widely regarded as the best porcelain veneers on the market! So don’t settle for anything less than the best in Greenville. Contact us at (864)242-2848, schedule your appointment online, or visit us at 119 West Antrim Drive, Greenville, SC 29607.